Exploration no. 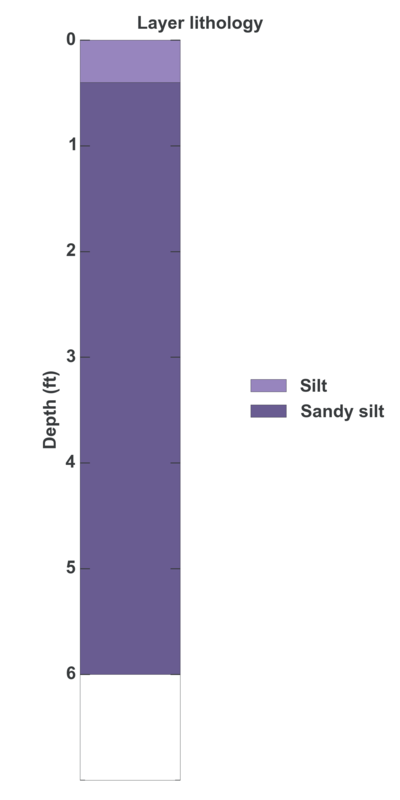 69914 is a Test pit (depth 6 feet) named: TP-5 described in subsurface document no. 14092. The document, a report titled Lakeridge Heights Soils Investigation, Lot No. 567 was prepared by Cascade Geotechnical, Inc. on 06-27-1978 for a Residential project.